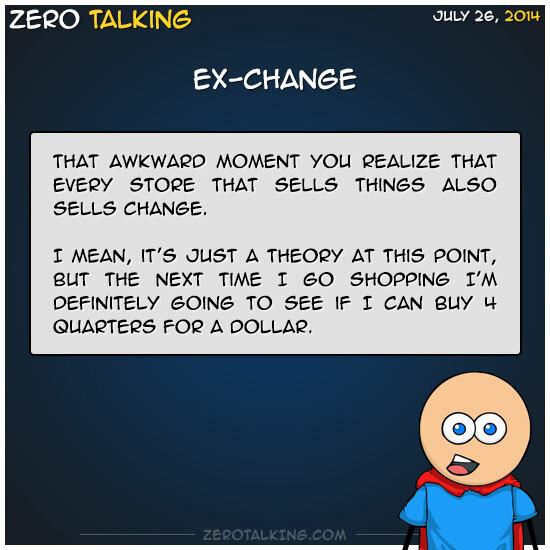 That awkward moment you realize that every store that sells things also sells change. I mean, it’s just a theory at this point, but the next time I go shopping I’m definitely going to see if I can buy 4 quarters for a dollar. If that works, next up is haggling! Does this mean I've made it?